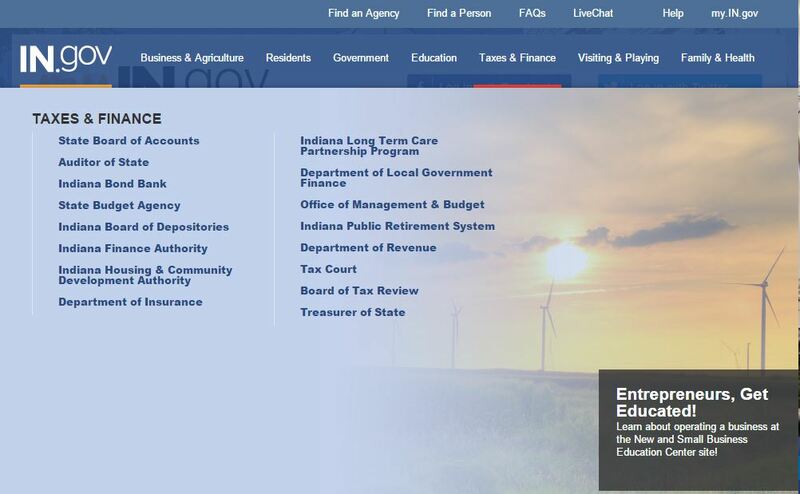 The state of Indiana launched a revamped website and app. The state says the new site places an emphasis on mobile users and offers a new feature that lets users personalize content, via my.IN.gov. The top level navigation was remapped with what they called a more “intuitive design” to make it easier to find agencies. The site has access to the transparency page and a map with multiple layers to find local state offices, parks and historical archives. The state says they’ve also worked to make the site more compatible for mobile users. They make up about 40 percent of the site’s traffic. There is also a companion IN.gov app for iOS devices like iPads and iPhones. An Android app is in development. The site was developed by the Indiana Office of Technology, Indiana Interactive and Ball State University’s Emerging Technology unit. IN.gov sees about 3.8 million unique visitors per month.